In this gallery, visitors learn about the American Revolution and antebellum life throughout the state, including the rise of slavery, the development of urban and rural economies, and migration to the upcountry. A digital map table allows visitors a hands-on opportunity to explore South Carolina in the late eighteenth century. Other items of interest include a letter from George Washington to William Moultrie and a reproduction of Charleston’s slave auction flag. 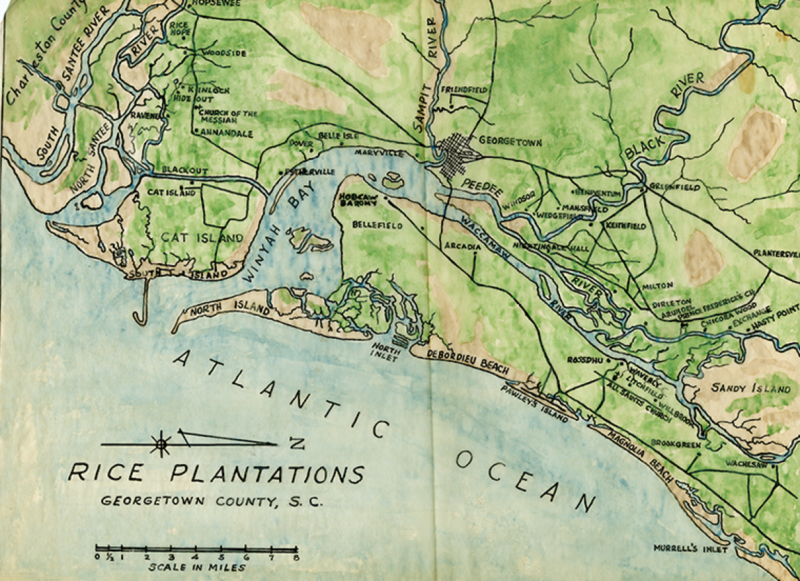 This watercolor-tinted map reveals the locations of rice plantations in the Winyah Bay area of Georgetown County. Although indigo played a role economically in the colonial period, rice would become Georgetown’s main cash crop in the nineteenth century. By 1840, Georgetown District rice plantations produced nearly half of the total rice crop of the United States. 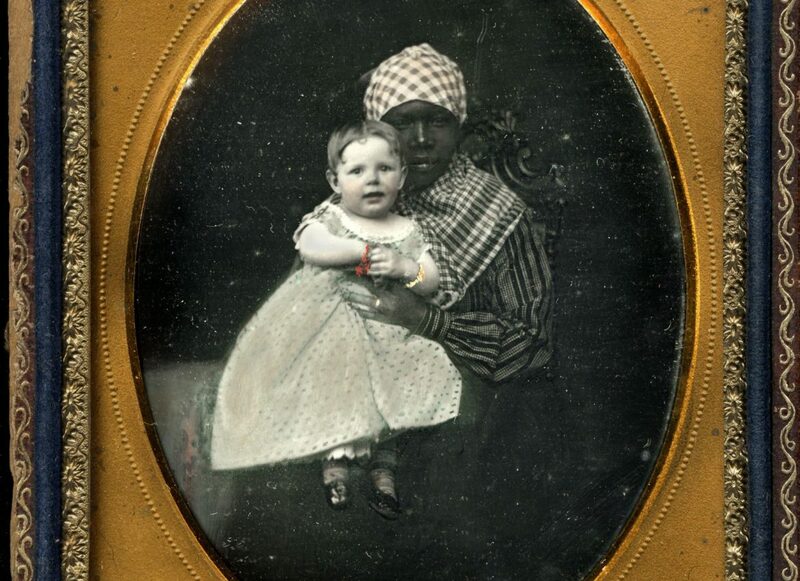 This daguerreotype is an image of Loully Porcher and her enslaved nurse, whose name is not known. While many enslaved women worked as field hands, others engaged in domestic tasks such as washing, cooking, or caring for the plantation owner’s children.